”Isn’t he adorable? 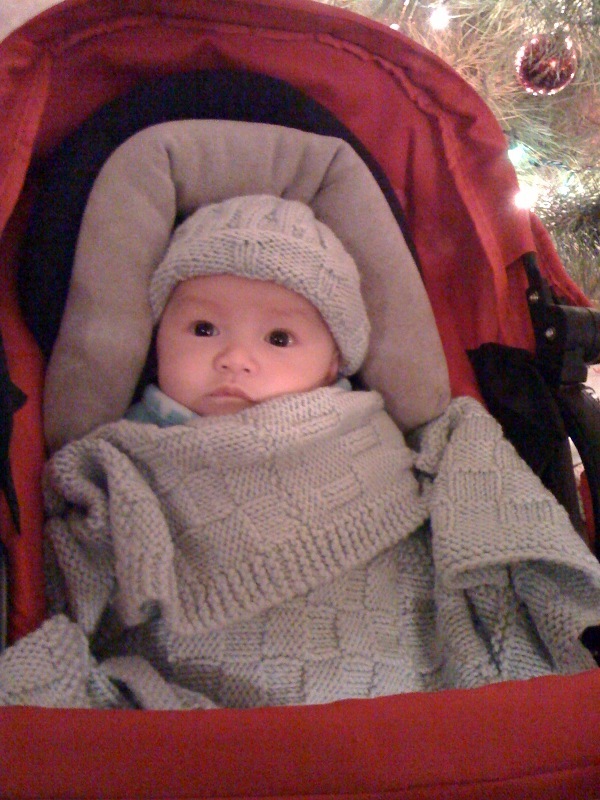 ” asks his great-aunt Jan. Ditto from me. 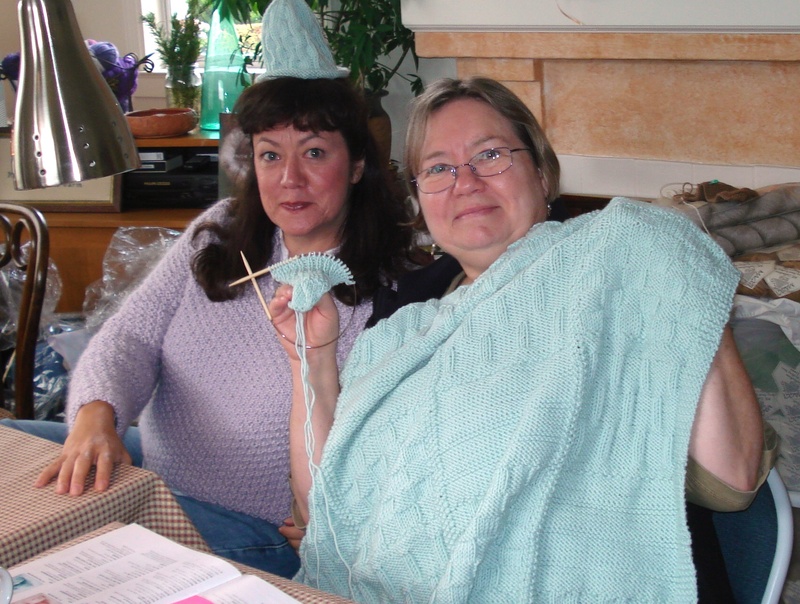 Kimberly and Jan “modeling” the blanket and hat! 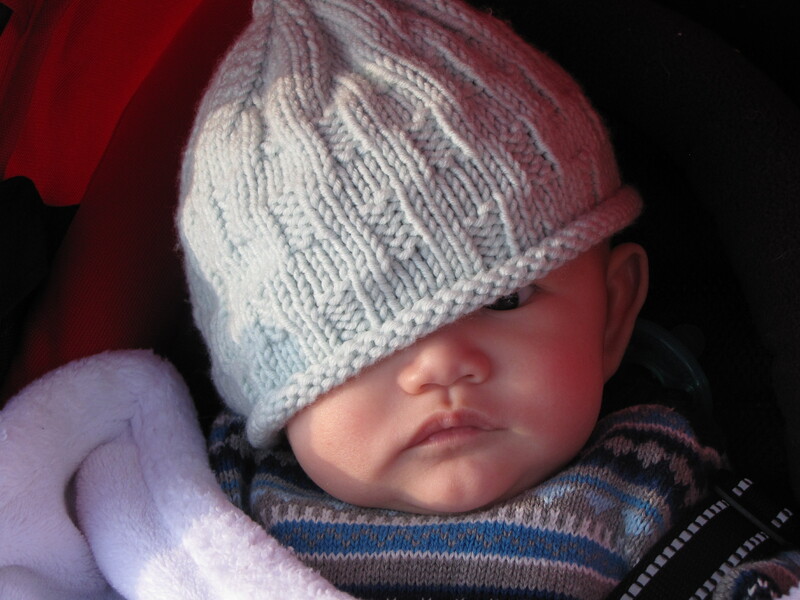 Jan’s great-nephew snuggled up in hat and blanket! 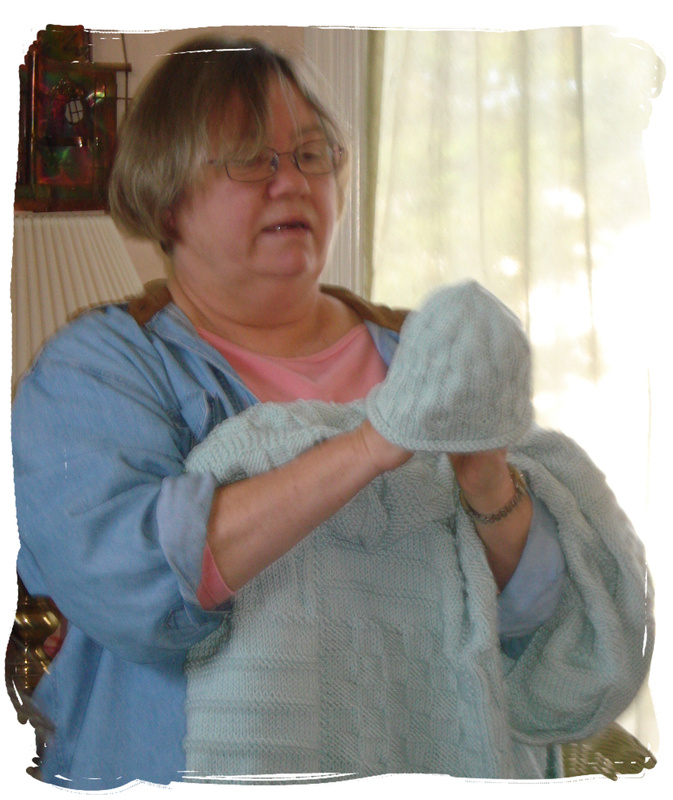 The pattern is adapted from “Baby Afghan” – project #2 in the “Knitting Basics” book by Betty Barnden (Quarto 2002). The yarn is worsted, machine washable Berroco Pure Merino(the color is “Glacier” but that may be discontinued now – the closest is “Bluebell”). 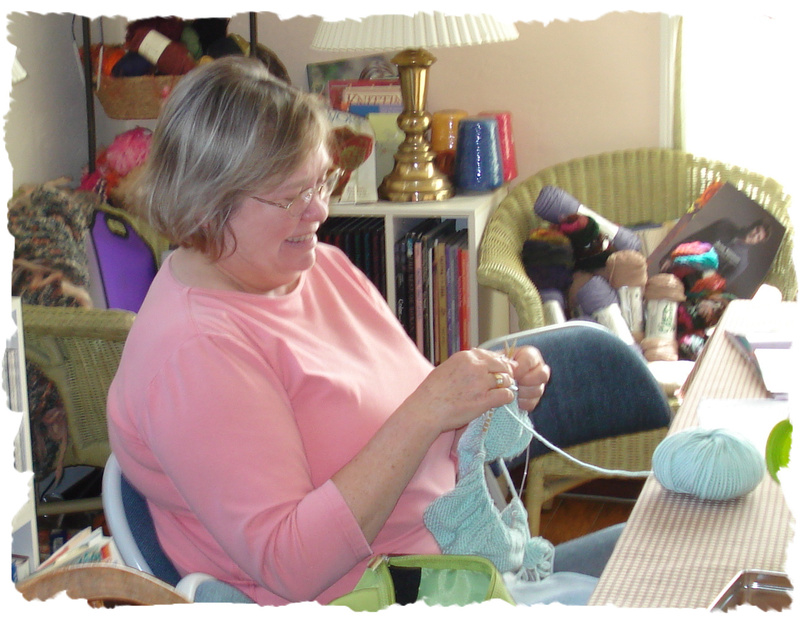 Note: Pure Merino available through Skein Lane Studio.